Sulgrave, Northamptonshire, circa 1920. Sulgrave is a village in South Northamptonshire, near Banbury. This view hasn't changed too much in the intervening years. The road now has a proper surface. 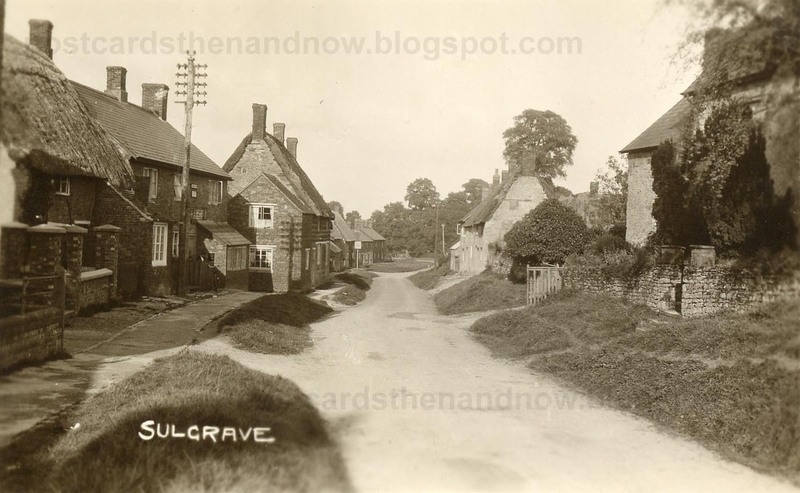 The thatched cottage on the left has gone and the post office is now a private house. Postcard by Blinkhorns of Banbury. It looks idyllic - with real grass verges! I see the Post Office has disappeared though.